healthier soil and stronger turfgrass root system. Aeration can reduce watering by up to 50%. Compact soil prevents the grass from establishing a healthy root system. Adequate amounts of vital turf nutrients including water, oxygen, nitrates, phosphorus, and potassium are unable to reach the roots. 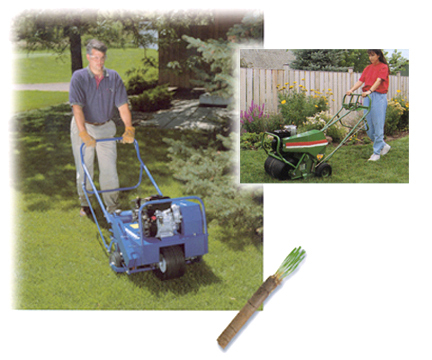 Aerators relieve soil compaction by removing evenly-spaced cores of turf up to 3" in depth. Standard coring spoons or optional spike and slicing blade reels enable you to tailor aeration to grasses and soil conditions. 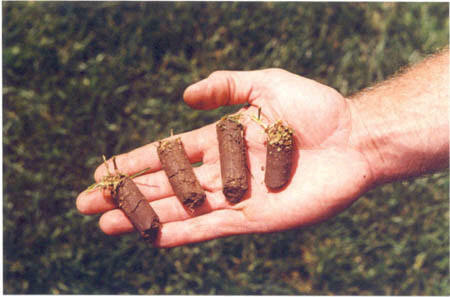 Aeration promotes deeper root growth for a lawn that is lush, healthy and drought resistant.